How our city can be desirable? How much the city landscapes are influential on our feeling of satisfaction? Can can right to adjust the city** be used in order to achieve the satisfaction without opposition to the city jurisdiction? Questions like this made us to investigate a fully available and new phenomenon like unofficial wall-writing** and to analyse it with a sociological approach in the form of image and interview with the writers and experts. 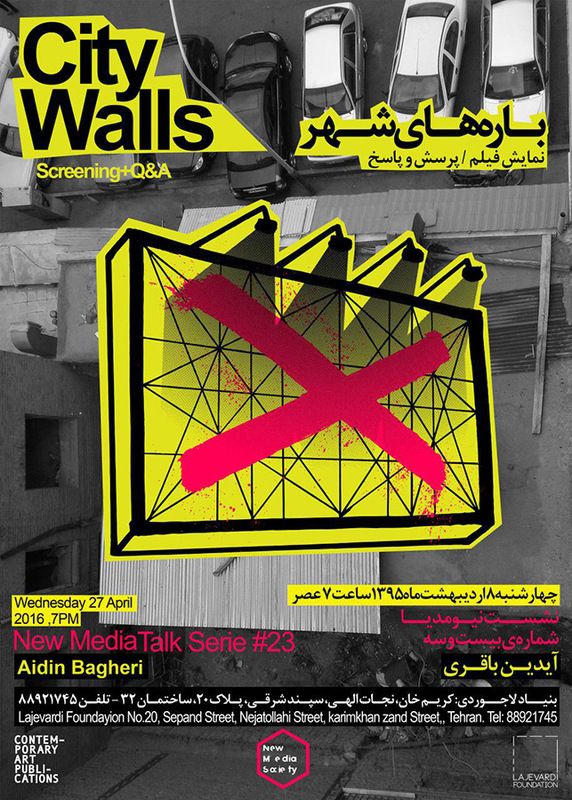 This documentary tries to pose the problems and obstacle which these wall-writers are facing or if their activity causes a destruction to the face of the city or if it is an act of sabotage of an artistic action regardless of aesthetic subject or a routine resistance in opposition to the urban order in addition to a relative introduction of this phenomenon. Aidin Bagheri (b.1991, Tehran, Iran) is a sociologist, researcher, social documentary filmmaker and photographer. He graduated from Azad university of Tehran with a BA in social science in 2013. Also he graduated in 2015 with a MA in sociology from the same university, with an emphasis on the research on relation between social / civil issues as well as photography. His research is reflected in some articles and documentary films such as his recent films “city walls” and “Tehran Slack-Liners”. He is currently working with photography, collage and video besides his following his social science research.